Best Places in Mesa to Watch Super Bowl LII! Best Places in Mesa to Watch the Super Bowl LII! For all the Patriots and Eagles fans – or those that don’t want to watch the game at home - don’t worry, we got you covered! Mesa is home to several great local sports restaurants, bars and pubs all aimed to make your viewing experience enjoyable and fun. With a rowdier vibe Whiskey Row is always a crowd-pleaser on game day. 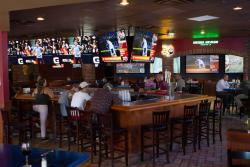 Located in the growing downtown Gilbert, this high energy bar will have plenty of TVs and music during commercial break. For those of you who love a pub environment, The Harp is a traditional Irish pub with an authentic atmosphere. Their menu consists of traditional Irish cuisine along with a variety of classic American dishes to go along with your pint of beer. For some family fun on game day, you can’t beat Jake&apos;s Unlimited! 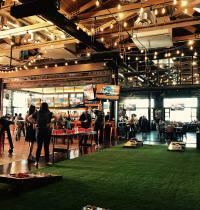 Offering a variety of game day buffet, arcade, and laser tag packages; the kids will be entertained while you get to kick back, enjoy, and maybe even partake in their open bar package from 5-7 p.m.
Voted best sports bar in Mesa, Diamond’s is a can’t miss game day stop. Whether you are with the family or flying solo their atmosphere will surely suite your needs. Newer to town and expanding over 7,000 square feet Raging Bull will be the most spacious bar to cheer on your team to victory. With almost every wall covered with high definition TVs there isn’t a bad seat in the house. 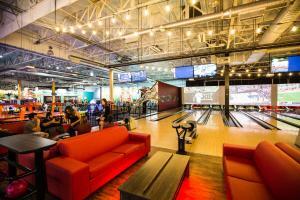 Loved by locals and known for their amazing service, staff, and tv display this will be your new favorite spot. Offering a variety of Game Day specials, The Draft Sports Grill is sure to be a bustling place to watch the game. 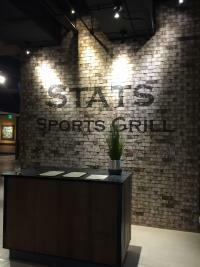 For those who prefer an upscale environment Stats Sports Grill located in the Sheraton Mesa Hotel at Wrigleyville is your game day destination. With over twenty domestic and draft beers on tap, you won&apos;t be disappointed. So, this Sunday, February 4 get the crew together or fly solo to check out these Super Bowl viewing parties!